As Co-Founder and CEO of Opt4America, Gustavo prepares foreign talent, studying in the US, to work effectively in an American setting and provide them with entrepreneurial opportunities. He is a senior mentor at MIT-Sandbox (entrepreneurial program) as well as MIT’s CCLP Leadership Program, where he draws on decades of international business experience to advise startups. During his career as an engineer, he developed expertise in numerous industries from oil & gas to IT and later went on to serve as Senior Executive for several American and European Fortune 500 companies. His global-mindedness and strong analytical skills as well as his ability to speak 6 languages make him a sought-after speaker and advisor in both the private and public sectors. Joe is a scientist, manager, and entrepreneur who is passionate about leveraging technology to improve our standard of living, while reducing our ecological impact. 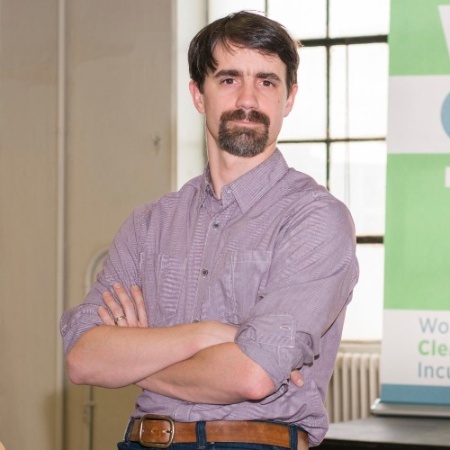 He is the Executive Director for the Worcester CleanTech Incubator where he helps to create the next generation of organizations that will go on to define our collective future. A Massachusetts native, Joe completed his Bachelor of Science degree in 2004 at WPI. He then completed his PhD in 2010 at Brown University in Physical Chemistry developing spectroscopic techniques. He served as the Associate Director of the Center for Sustainable Energy (CSE) at the Bronx Community College of CUNY. There he developed curricula around energy infrastructure, sustainability science and life cycle assessment, while raising money for and coordinating an IREC accredited solar energy workforce training program. Joe is eager to help fellow entrepreneurs as well as established businesses grow the regional green economy. In 1994, Steven co-founded ION Design, an award-winning industrial design and product development firm celebrated for its creativity, artisanship, collaboration, inventiveness, and success. Over the course of over 20 years, the firm has created innovative design solutions for its clients, which have often resulted in intellectual property. 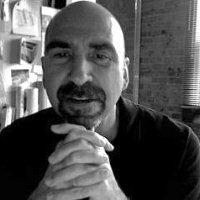 For 10 years, he served as an adjunct faculty member at New York University in Manhattan, Department of Design & Digital Arts (NYU/SPS), from which he recently retired to pursue creative endeavors. Steven is signatory to over 25 patents in a variety of industries and is eager to share his wealth of experience in industrial, mechanical and bio-medical design and manufacturing to the VVM Startup Accelerator. A social impact entrepreneur, Tanya co-founded Maker’s Row in 2012, an online platform used by over 130,000 businesses that helps democratize American manufacturing for small businesses, which have in turn produced over three million products in the United States. She raised $2.5M from Comcast, Index, Alexis Ohanian, Joanne Wilson. Before her entrepreneurial life, she worked at Goldman Sachs and Google. Tanya has been included in Forbes’s 30 Under 30 list and named one of People en Espanol’s Most Powerful Latinas, Business Insider’s Coolest People in Tech, and PopMechanic’s 25 Makers Who Are Reinventing the American Dream. Zaza is the Director at Smith College for The Design Thinking Initiative that develops capacity for collaborative creative problem-solving. She is an expert in teaching design thinking methods and using it to redesign curriculum for adult and K-12 learners. Zaza served as Program Advisor at Stanford University’s Learning, Design, and Technology Masters’ program which is celebrated as one of the best accelerators for EdTech. She brought design thinking training to Zimbabwe, through an intensive program in which she introduced methodology to health professionals (doctors, nurses, and hospital management). Zaza holds a PhD from the Stanford University Graduate School of Education during which time she focused her study on how adults learn to be creative and entrepreneurial. She now draws on that research to design learning environments to spark and nurture continued learning. 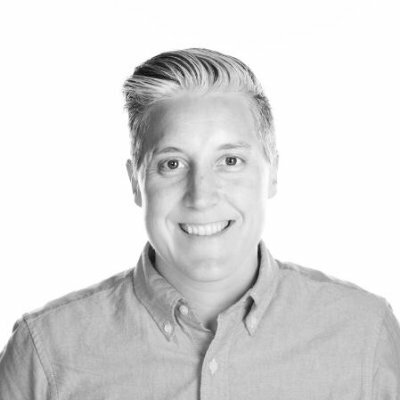 Bethany Martin, principal of B. Martin Studio, is a business strategist, designer and web developer with over 15 years of experience in designing and developing brands and online experiences. Bethany is a mentor at the Pilotworks, Valley Venture Mentors and is on the faculty at the Pratt Institute in the Department of Industrial Design.